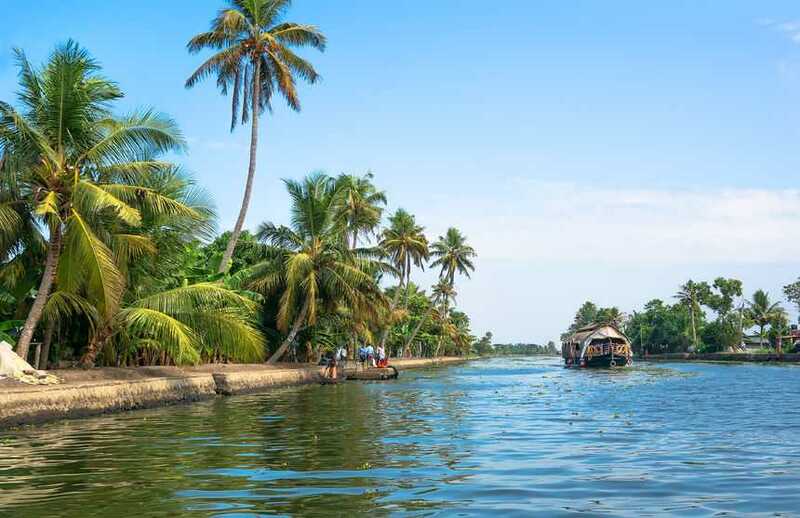 Kerala is a land of backwaters, tea estates, classical dances, and tranquil beaches, Ayurveda, crystal clear waterfalls, gorgeous hill stations, pleasing wildlife, moderate climate, simple yet tasty cuisines, and the list goes on and on. The best part about this “God’s own country” is countless and timeless. It is that pristine land which is covered by azure of the Western Ghats from the East and the Arabian Sea from the West. Words will short to define the extra large bliss of this heaven of Earth. You yourself have to come here to discover the true beauty of this heaven. As celebrated “National Geographic’s Traveler magazine” has listed Kerala in the ‘Ten Paradises of the World’ and ’50 must visit places of a lifetime‘. 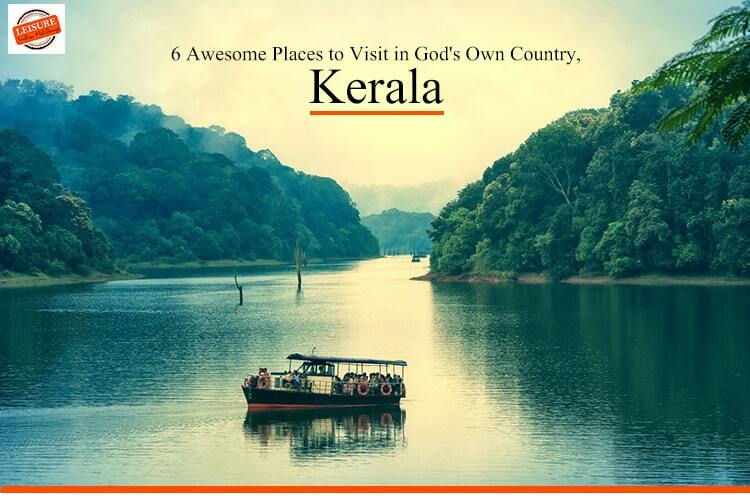 While we’ve bought some beauty here in form of info about Places to Visit in Kerala. Do check it out. One of the best places in Kerala for honeymoon, Kochi is a soothing blend of the colonial past and contemporary India. Ancient churches, forts, and Cathedral here are surrounded by lush mangroves, coconut trees, azure backwaters. The city is lined by the Western Ghats on the east and the majestic looking Arabian Sea in the west. The major attraction of Kochi includes Fort Kochi, Bolgatty Palace, Cochin Backwaters, Mattancherry Palace, St. Francis Church, etc. Kochi is one perfect starting point for exploring the vast diversity and beauty of Kerala, rated in the top three tourist destinations by the World Travel & Tourism Council and featured in National Geographic Traveler’s ’50 greatest places of a lifetime‘. 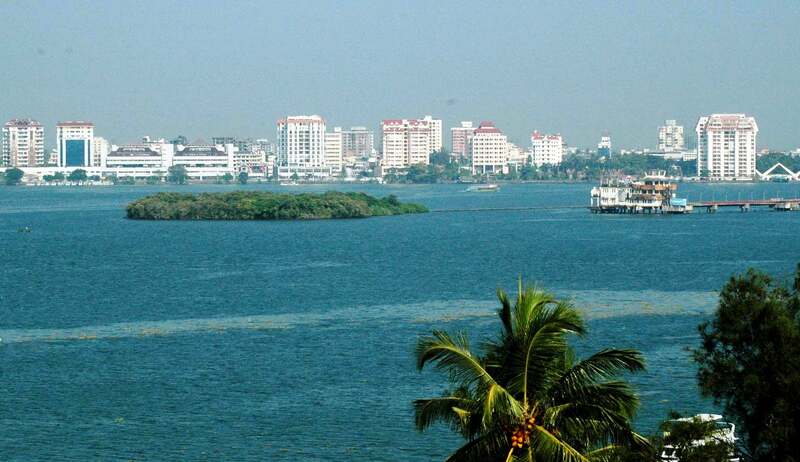 Flow with the magical vibes of port city Kochi which is also known as Cochin. Munnar is among the best places to visit in Kerala during Monsoon. The tranquil hill town of God’s own country, set at an altitude of 6000 feet, Munnar holds breathtaking charms with lush tea estates, pristine valleys, and hills. In fact, Munnar also has the highest peak in South India, Anamidi with a height of 2695 meters. Because of all good reasons, Munnar was the favorite most hill station of British rulers during their rule in India and it still preserves that magnificent colonial charm. The charms of this hill station are enhanced with the gorgeous and abundant Eravikulam National Park. This National Park is a heaven of rare and lush flora and fauna, that’s why it invites a large number of nature enthusiasts each year. Munnar has a legacy of its own when it comes to the origins and evolution of tea and various spice plantations. You can shop tea, ginger, cardamom, pepper, cinnamon, coffee, clove, nutmeg etc. from a large variety of spices grown in Munnar. 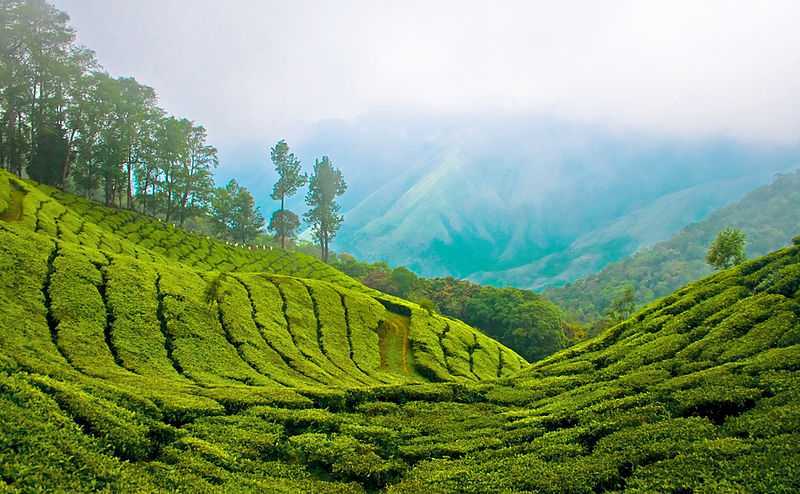 Take a heavenly stroll in Green fragrant valleys of Munnar. Any list representing the places to visit in Kerala will be incomplete without the inclusion of Thekkady. When it’s about Thekkady, then one can imagine images of elephants, unending chains of hills and spice scented plantations. 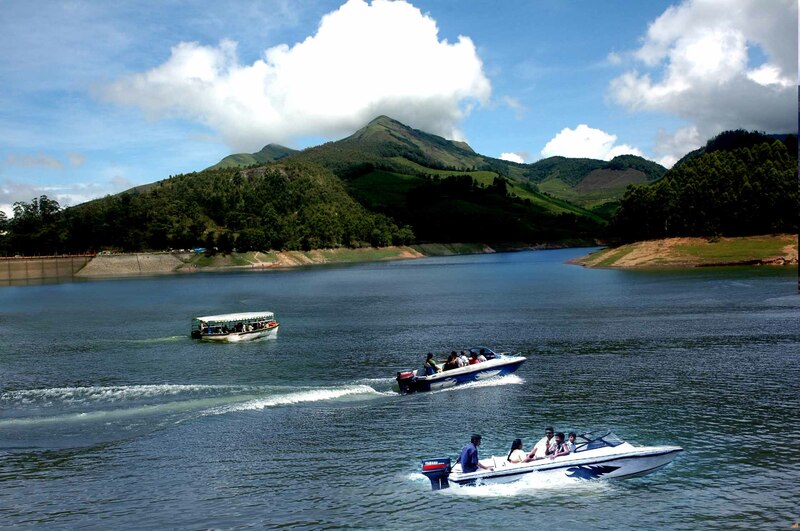 Thekkady is placed at an altitude of 700m above the sea level. It’s a picture-perfect retreat for those who seek fun, adventure, scenic beauty, wildlife and thrill in a single holiday. As Thekkady is home to picturesque and lavishly green Periyar National Park, one of the finest wildlife reserves in India. You can enjoy the wildlife while having a boat ride through the lake to sight Asian Elephants, bison, tigers, leopards, lion-tailed monkeys, etc. Periyar is not only an awe beautiful home of endangered species but also it shelters rich tribal culture of India. Find the spectacular Mullaperiyar Dam across the Periyar adding charm to the park. Thekkady is pleasant heaven on Earth for those who love nature in its wild manifestations. Being the best place to visit in Kerala during rainy season, Alleppey (Alappuzha) is considered as the oldest planned city in this region and most famous among tourists with amazing glimpses of backwaters, beaches, lagoons, canals, and Alleppey Lighthouse. The special treat of this tranquil town is elegant and serene houseboat cruises in its mirror still backwaters. Another major striking point is the annual “Nehru Trophy boat race” organizes by this town every year on the second Saturday of August month. It is one of the famous and entertaining boat races of India. Apart from the boat trips through the town’s many canals and lakes, Alleppey offers glimpses of the coir manufacturing process-from the coconut husk to the final rope/coir yarn stage. There are also several shops selling coir matting and carpets, often at prices cheaper than elsewhere, shop them to take back home the art of Alleppey. Come here to be the guest of nature and serenity. An excellent beach town situated in the capital city, Thiruvananthapuram of Kerala, this place brings the thrilling spirit in you, as you gonna locate adventure activities like water diving, parasailing, windsurfing, and others on wild waters of Ocean of Kovalam. Kovalam has three curve shaped beaches covered by fertile coconut palms. 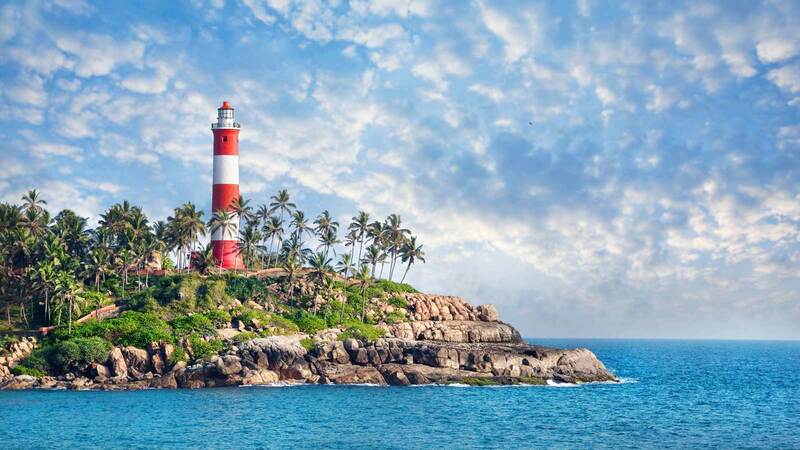 Kovalam beach and Lighthouse beach are the hearts of this beach town. You can also count this intense beach city for blissful rejuvenation; as Kovalam is the hub for assorted Yoga and Ayurvedic massage centers. Amalgamation of sunbathing and relaxing Ayurveda massage are your reasons for Ultimate relaxation from Kovalam. This coastal town will turn on the cheer in you with the beauty and sophistication it holds. All this makes Kovalam, as one of the tourist’s favorite places to visit in Kerala during summer. The capital city of God’s own country, Thiruvananthapuram is among the historic places to visit in Kerala and it is known by its colonial name Trivandrum. Marked as “Must see destination” by National Geography Traveller, Thiruvananthapuram got all the best reasons. 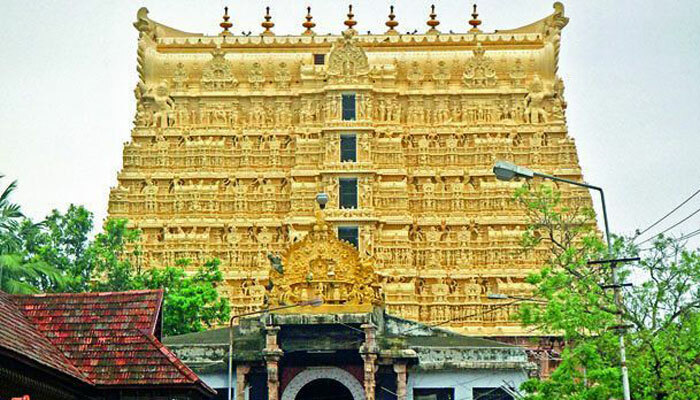 It is home of many ancient temples, but the heart throbbing is the Sree Padmanabha Swamy Temple around which the city has been built on seven low hills. This clean and green capital city can be summarized through these terms- internationally renowned beaches, historic monuments, backwater stretches and a rich cultural heritage, forming it a wonderful package to explore. The city is built on seven hills, is now a blend of modernity as well as a then colonial charm with high-end scenic beauty. It is blessed with a pleasant climate virtually throughout the year. It is well known for the traditional festival and fairs organized here Onam, Swathi Thirunal music festival, boat races, the grand elephant parade and many more. This capital is a perfect package of art, tradition, class, beauty and adventure holiday. This is our list of best places to visit in Kerala. So, be travel ready to spend some blissful time in the heavens of Kerala to attain ultimate rejuvenation. The picture-perfect Kerala holiday is waiting! After knowing about the places to visit in Kerala, let us now look to find out how to reach Kerala and what is the best time to visit Kerala. How to reach: The state of Kerala is easily connected with Airways and railways with other states of India. The state has three major international airports and good rail connectivity with other states. It’s easy to access Kerala by road transports from neighboring states. Best time to visit: This state is blessed with a pleasing climate throughout the year. Though, the peak season of the Kerala visit is from September month to March month. Monsoon season between June and August is an ideal time to visit Kerala for Ayurveda treatment because of the wet and cold climate which is apt for these treatments. Book one ecstatic tour to this paradise land, Kerala for our expert travel services and amazing trip itineraries at South India Tour Packages.